I was zooming along on several projects. 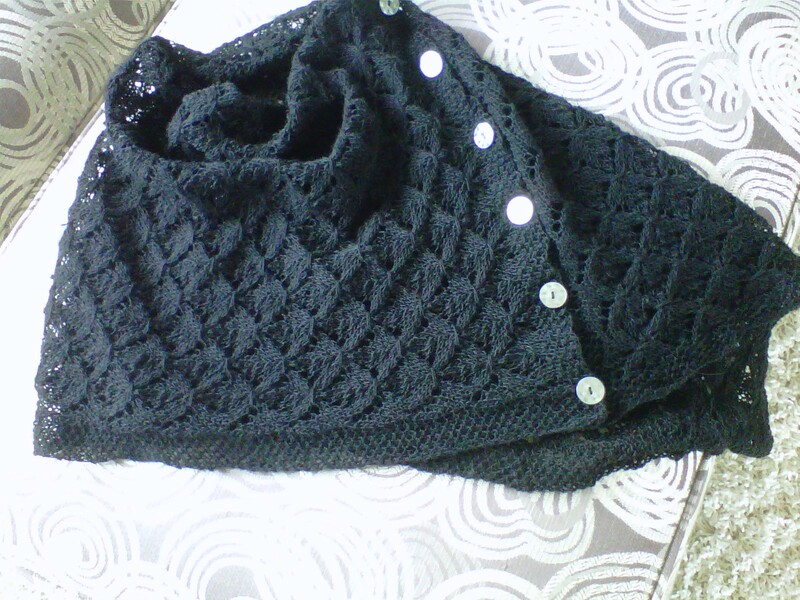 Micki’s shawl is finished and ready to mail. I finished this fun little cardi. I have a very cool looking sweatshirt style sweater on needles and a couple of more things in the works. All seemed well and then……..It turned on me….the weather that is. Summer hit us overnight. It is hot. Toooooo hot to knit wool sweaters. So what to knit next? That’s when what I call the conundrum began. I pulled out a bunch of pattern ideas and yarn and spent days swatching this and swatching that…starting this and starting that and could not get into the rhythm of what I wanted to do next. I did a very difficult thing. I stepped away from the yarn and the knitting for a few days/hours and took a time out. Besides the heat, the indecisive knitting, a garden going crazy, and work travel even crazier…..you can understand my brain hit overload. And suddenly a little bit of cool air blew in. My brain cleared….peas and lettuce were picked…..I needed a project for a business road trip and the knitting began again. 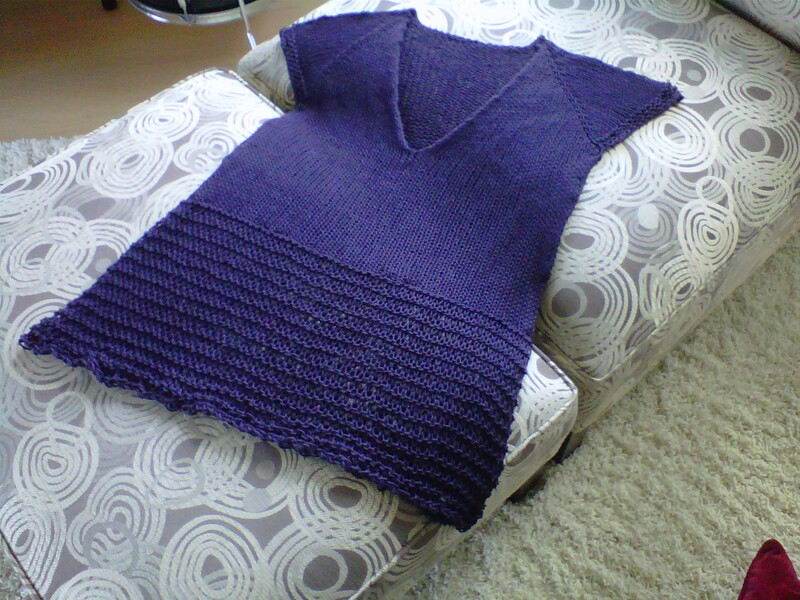 This is from Knit.Wear 2012, the Deep V Tee. 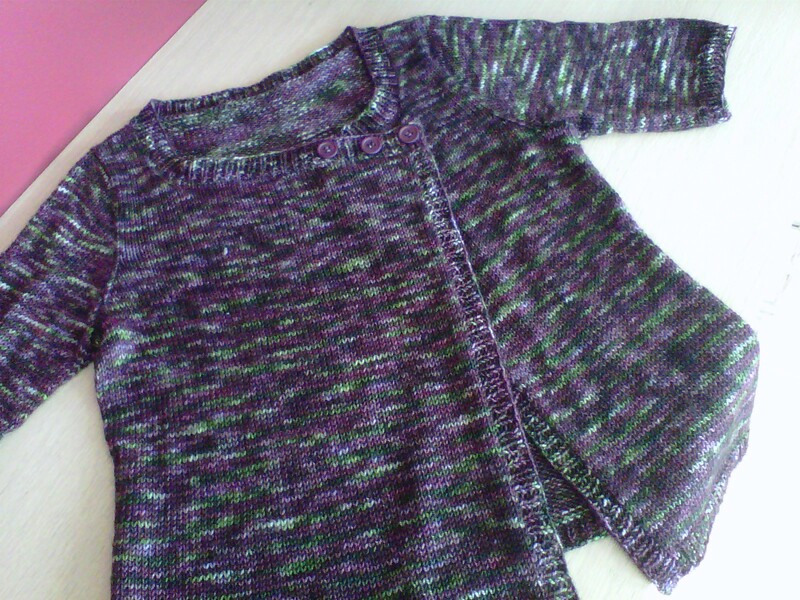 I knit it in a day and a half. So cute, so perfect as a toss on with khaki shorts. I want to knit another. Then I chose to knit what I really wanted for summer. A little white sweater. This is linen and the pattern is Featherweight. I love this pattern. 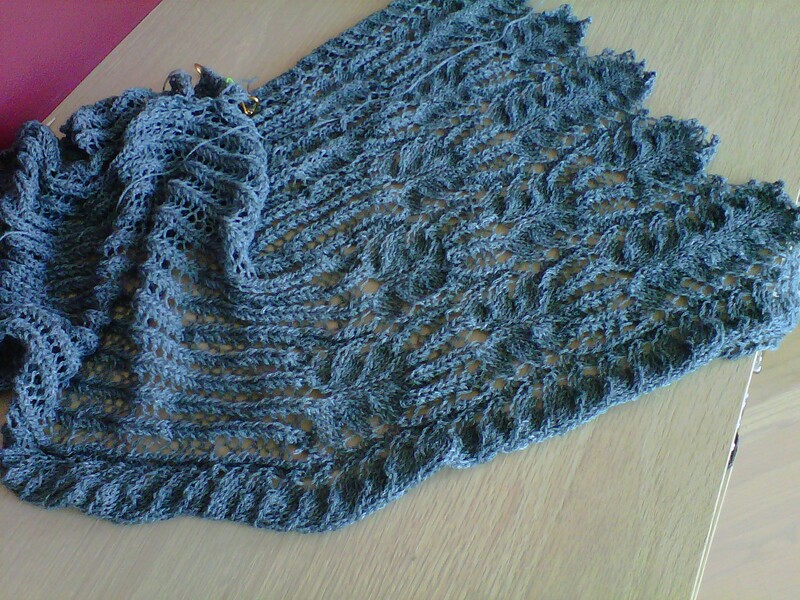 I plan to change it up a little and do a twisted rib along the front edge and all the ribbing. I like how it is looking and the fit is perfect. 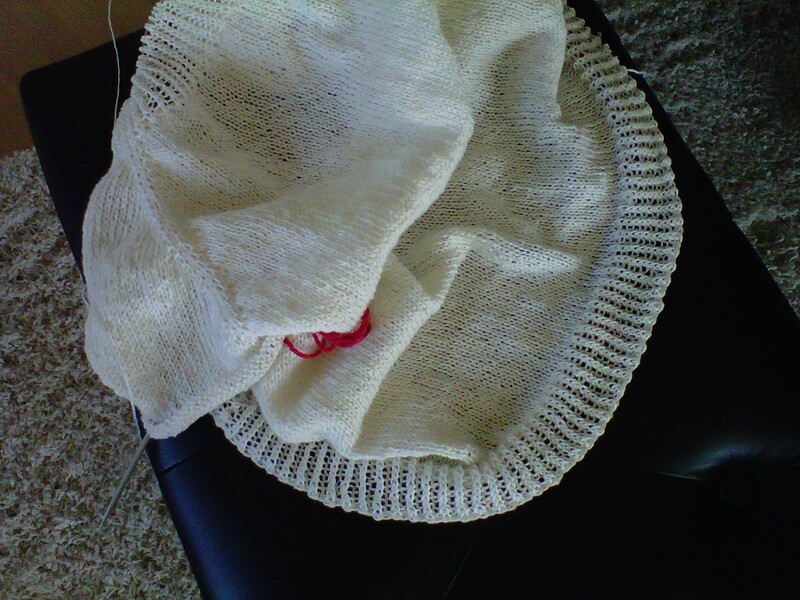 Linen is a little hard on the hands so I have another project on needles as well. The vest is a Carol Sunday pattern, Clair de Lune. It is a little more complex. Perfect for afternoon knitting on the deck. As for the pause button…..well all the woolly knits are resting until the weather starts to cool a little. Which is not anytime soon I hope :-). PS Don’t tell himself, but I already bought yarn for another Deep V Tee…….